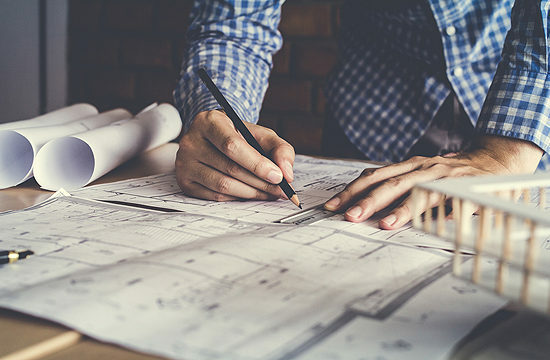 Design-Build Services - Healy Construction Services, Inc.
Make Healy Construction Services your architect, engineer and construction manager with our design-build services. Our experts will create an integrated approach focused on the specific needs of your project without sacrificing any quality. This turnkey solution will cover all of your design and construction management needs to save you time and money. Since we have more than 30 years of experience in retail and commercial construction, we contain the expertise you want for your project. Furthermore, we are a woman-owned, family-run business with a history of exceeding expectations for clients across America. Because of this, we are able to offer our clients the professional services they require, along with the personal contractor-client relationship they crave. Therefore, call Healy Construction at 708-396-0440 today or contact us online for design/build services focused on your needs. What Makes Our Design-Build Services Different? Healy Construction Services believes the key to great design-build services is communication. It takes an experienced team communicating and collaborating effectively from start to finish to deliver the best results. For that reason, we provide experts who work together to manage all contracts in a way that cuts out inefficiencies in the process. Our project managers and superintendents know each job inside and out, and communicate on day-to-day oversight to ensure projects stay on time and on budget through to completion. Then, our close-out services add value to customers by creating seamless transitions to operations. In fact, we even include value engineering recommendations for future projects among the information we provide with our close-out services. Save time and money by using one point of contact for your entire construction project with design-build services from Healy Construction Services. Discover why nationwide clients such as Ulta Beauty, T-Mobile, PetSmart and others count on Healy Construction Services for their projects today. In order to get our 30 years of experience to work for you today, call 708-396-0440 today or contact us online to let us know about your project. To be considered as a subcontractor, please review our vendor qualifications and submit a request to work with Healy.